It used to take me 60-75 minutes to get ready in the morning. I now have 15 minutes, 30 if Vienna is napping and I get to take a shower. New mom beauty essentials. The Winemakers Wife. Meagan Kludt. Wife. Mother. Lifestyle Blogger. Here is a list of my beauty essentials! HAIR. For hair I'm constantly using Bobby pins, small clear elastic rubber bands (breath for braids) and the knot tie pony tails because they don't leave a kink in my hair. MORE HAIR. Wide and Fine tooth comb. 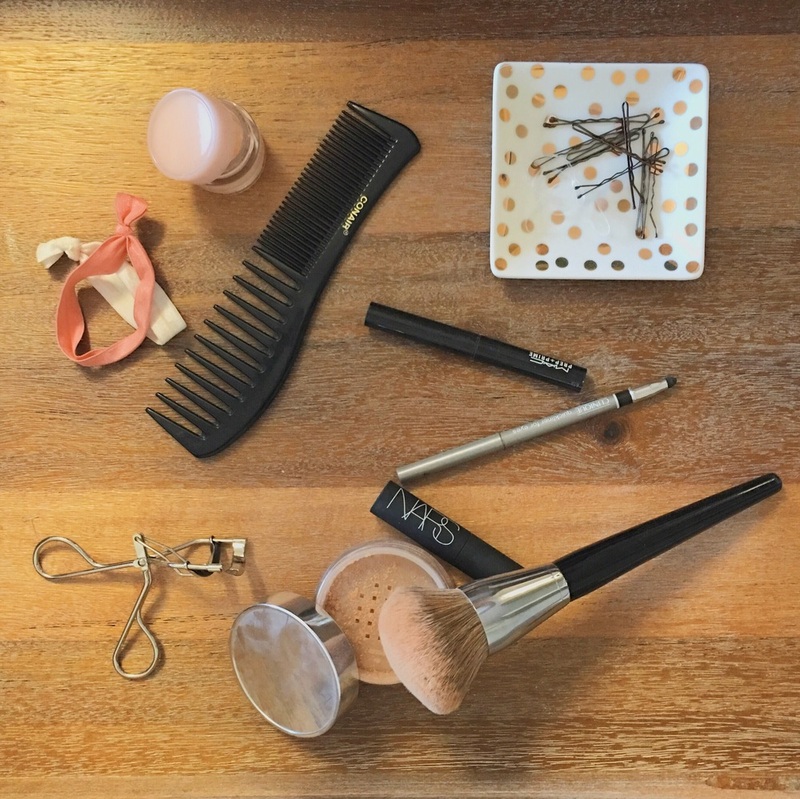 I don't have time to look for both or my brush so I've found this conair comb to be amazing! FACE MAKEUP. I dab a little powder on my nose, Clinique lose pwder with my Sephora makeup brush #37. EYE MAKEUP. I'll use eyeliner on days I feel like I eat a little something extra, but for the most part my eyelash curler and my NARS high volume mascara get the job done! LIPS. I use Chapstick. MAC has a lip primer that works great or if I'm feeling real fancy any colored Chapstick (burts bees) gives that little extra color with your moisturizing! Added bonus tip: I only wash my hair twice to three times a week. I keep dry shampoo stocked in my sink cubbard and use it on the daily!